Electromagnetic radiation is familiar to us all as sunlight, heat, X-rays and radio waves. Electromagnetic radiation (EMR) conveys energy from a source to distant places. For example, the Sun radiates light, heat and other varieties of electromagnetic energy, which is received here on Earth. Your amateur transmitter conveys radiofrequency (RF) energy via your antenna to other amateurs’ antennas and their receivers detect that energy and convert it to sound. Whenever you go on the air, your station antenna generates an electromagnetic field that radiates in all directions, with the antenna often designed or arranged to radiate more energy in particular directions and less in others. Because there is some public concern about possible health effects on humans of radiofrequency (RF) electromagnetic energy (EME) emissions, generally focused on mobile phones and their base stations, the Australian Government’s Australian Radiation Protection and Nuclear Safety Agency available via this Link – ARPANSA – has developed standards for protecting the health and safety of people, and the environment, from the harmful effects of ionizing radiation (eg. X-rays) and non-ionising radiation (eg. RF electromagnetic energy emissions). Since 2003, the ACMA has required all transmitting stations to assess the status of the risk that a station presents in relation to human exposure to radiofrequency electromagnetic fields, generally termed electromagnetic radiation (EMR) or electromagnetic emissions (EME). This requirement was included in the Radiocommunications Licence Conditions (Apparatus Licence) Determination 2003, Parts 3 and 4 (see footnote, below). The ACMA's EMR Compliance regime attempts to ensure that RF exposure levels within a station, and any publicly accessible areas around the station, do not exceed the general public exposure limits specified by the Australian Radiation Protection and Nuclear Safety Agency (ARPANSA) Standard. In order to simplify the evaluation and reporting requirements for most transmitting stations, including Amateur stations, the ACMA has adopted a system of two compliance levels. All licensees are required to determine the compliance level of their station. 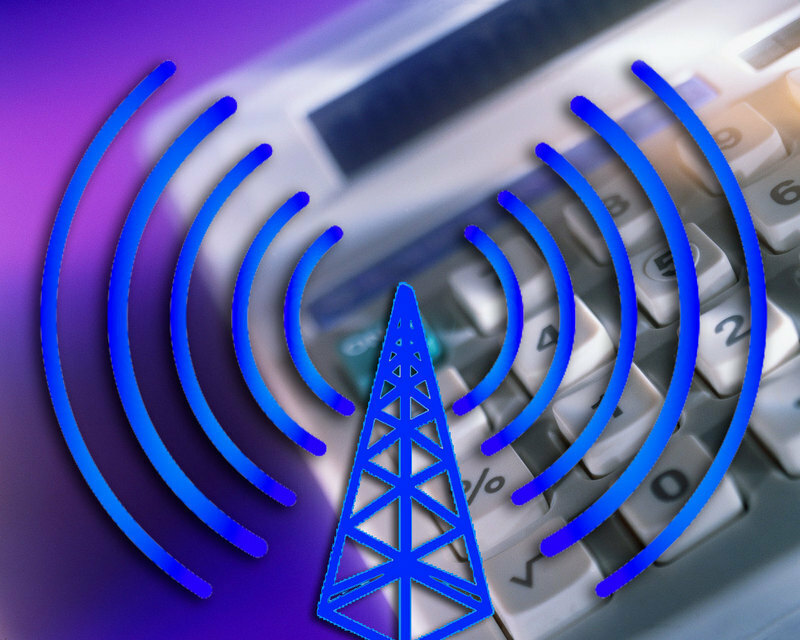 The ACMA publication Human Exposure to Radio Frequency Electromagnetic Radiation - Information for Licensees of Radio Communications Transmitters, October 2005, provides guidance for determining the compliance level. The two compliance levels are summarised below. the average total equivalent isotropically radiated power (EIRP) of all antennas fed by the fixed station transmitter does not exceed 3200 W in any direction and the minimum height of the lowest antenna fed by the transmitter is at least 10 metres above ground level. So, an amateur home station operating a 400 W PEP SSB transmitter with low (or no) voice compression will have an average power of less than 100 W and therefore can be assumed to be Compliance Level 1, providing the antennae is inaccessible to the public. If your transmitter installation is in the Compliance Level 1 category, then you do not need to do anything more and you do not need to keep records. However, as an example, if your station has an average power of 110 W and the lowest element of an antenna fed by the transmitter is eight meters (8 m) above the ground, the station would not meet the requirements for Compliance Level 1 and would thus be Compliance Level 2. Even if you have assessed your station as Compliance Level 1, you may be asked to provide a technical rationale. In other words, you may need to convince an ACMA representative that you have correctly assessed your station. All stations not meeting the Level 1 criteria are classified as Compliance Level 2, even though the actual calculated or measured exposure levels may be low. If your transmitter installation is in the Compliance Level 2 category, then, as the licensee, it is your responsibility to assess your station against the exposure limits of the ARPANSA standard, and to also hold records showing compliance with the exposure limits. For an Amateur station, compliance can be by self-assessment, taking into account the knowledge and qualifications of the amateur licensee. The VK3UM EMR calculator on the WIA website (see files for download below) can be used for determining exposure levels, your station compliance and the compliance level; the calculator also allows you to print hard copies of the results as evidence of your compliance. You need to be very aware of your legal obligation regarding EMR assessment, especially if you are operating high power, or high antenna gain, or on UHF frequencies and above. The hard copy evidence of a Compliance Level 2 assessment, as well as a Declaration of Conformity, must be kept in your station file, along with your Amateur licence, and be available for inspection by the ACMA. In particular, if you are using an antenna where the radiating elements (or parts of the elements) are close to the ground - such as a sloper, an inverted-V, a doublet or G5RV with open-wire line hanging down, or any type of ground mounted vertical antenna - you need to ensure that all parts of the antenna are inaccessible to the public. Terms commonly used to describe the power of a transmitter in the Amateur LCD and other information. Px - the average power delivered by a transmitter during one radio frequency cycle at the crest of the modulation envelope taken under normal operating conditions. This is commonly referred to in amateur circles as peak envelope power (PEP). Py - the average power delivered by a transmitter over a time period sufficiently long compared with the lowest frequency encountered in the modulation taken under normal operating conditions. Pz - the average power delivered by a transmitter during one radio frequency cycle under the condition of no modulation, more commonly referred to in amateur circles as Carrier Power.